Uber has entered into a partnership with Volvo to purchase 24,000 Volvo XC90 to form a fleet of driverless cars between 2019 and 2021, according to Bloomberg. The deal is said to be worth around $1.4 billion, as per the Financial Times, with the XC90 starting at $46,900 in the US in terms of the base model consumer pricing. “This new agreement puts us on a path toward mass-produced, self-driving vehicles at scale,” Uber’s Jeff Miller told Bloomberg. The self-driving system that would be used in the Volvo cars (which have yet to be built) is under development by Uber’s Advanced Technologies Group. 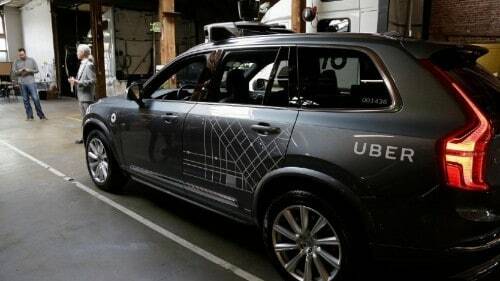 Uber is already testing the XC90 in Arizona, San Francisco and Pittsburgh in trials with safety drivers on board to help refine and improve their software. Uber also paired up with Volvo to jointly develop autonomous driving and a vehicle ready for self-driving implementation, with investment from both sides committed last year. The latest development surely marks a big step in Uber’s self-driving plans that have witnessed way too many obstacles this year. Uber is currently embroiled in a lawsuit with Waymo, which alleges that Uber stole valuable trade secrets and used them to develop its own autonomous car platform. Uber vehemently denies the allegations, going so far as to separate itself from the individual who allegedly stole those secrets.